The 120 masterpieces included in this ground-breaking exhibition ranged from the 11th through the early 20th century. These objects were made for, used by, and given as gifts to the Dalai Lamas. This exhibition has never been displayed in the West and was only featured at four U.S. venues. 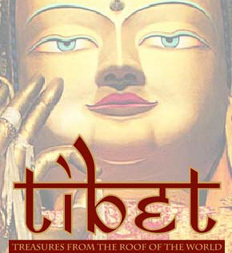 This exhibit was organized by The Bowers Museum of Cultural Art in collaboration with the Bureau of Cultural Relics, Tibet Autonomous Region, the Patola Palace, and the Tibet Museum.